Since 2013, Moore Engineering has participated in the Educators in Industry Program. The program places K-12 teachers in a corporate environment for four weeks during their highly-valued summer days. It’s all an effort to strengthen educators’ curriculum and support them in delivering a meaningful approach to engineering and STEM-related education. As an organization highly vested and interested in the communities we serve, Moore Engineering welcomes one or two educators each year, diligently scheduling their time with key personnel in each of our departments. Educators are given a chance to run survey equipment, travel to project sites and learn the ins and outs of what a civil engineer does – and doesn’t do – on a daily basis. “This is an impressive company with a long local history. Their mission, “Improving Lives by Building Strong Communities,” speaks to their commitment and relationships with clients. Their values include respect, integrity, accountability, loyalty and kindness. Their mission and values are displayed in every conference room and it is clear that this is how they conduct business. “During our placement, we had a calendar full of commitments with each of the different groups. 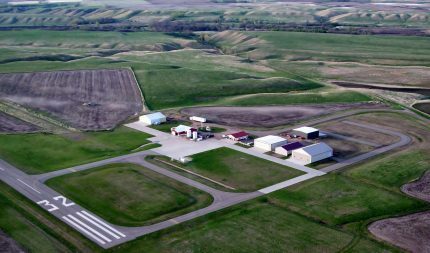 We attended preconstruction meetings, operation meetings, listened to calls with clients and were introduced to CADD models, maps and plan builds. 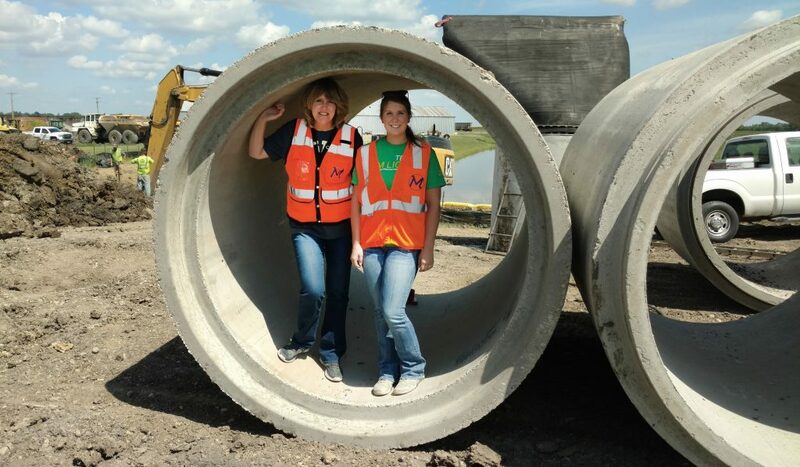 LaRae (left) and Rachel (right) visit the 12th Ave. site during their time with Moore Engineering, Inc.
“Engineers are commonly stereotyped as introverted math geeks with great ideas. However, this experience opened my eyes to the amount of communication (written and spoken) used in the industry between multiple entities. All people are responding to e-mails and phone calls, and speaking in meetings. Proposals are written and then presented to clients. Often, the audience doesn’t have technical knowledge, so the proposal needs to be in common language. “Secondly, this company creates relationships with its clients to better serve their community and act as a consultant. The relationship they have with their clients and their reputation of quality work is impressive. How will this experience enhance your work as an educator? “I want to organize my class into mini engineering projects. I wanted to see how real engineering projects are organized so that I can mimic it in the classroom. The emphasis is communication, and I want to make sure the class is writing and speaking. “At Moore, a project manager shared a program of work and a design document report – a document written by the engineer containing details of the work. I will incorporate a classroom version of these documents for students to use in their projects. Then, instead of a post-project reflection, students will write a design document report to tell me what they learned. In closing, LaRae said the experience was rewarding and she gained a great respect for water, sewer, streets and maps!